New York, N.Y. - Artistic Director Robert Lyons proudly presents the 24th annual Obie Award-winning Ice Factory Festival. Ice Factory 2017 takes place at New Ohio Theatre, located at 154 Christopher Street between Greenwich and Washington Streets in New York City. Ice Factory 2017 will present seven new works over seven weeks, running June 28 - August 12. Newburgh, N.Y., May 31, 2017 -- Come visit Washington’s Headquarters State Historic Site, from 1:00 PM to 4:00 PM, on June 3rd to see re-enactors from the 4th Connecticut Regiment perform musket drills, military demonstrations, and answer questions about the life of a soldier in the Continental Army. 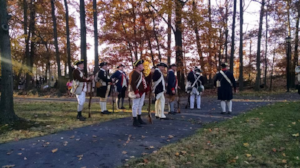 The site itself will be open from 11am – 5pm with admission entitling you to a tour of the historic Hasbrouck House, which served as Headquarters for General Washington during the last 16 ½ months of the Revolutionary War. Bethel, NY (May 25, 2017) – The Museum at Bethel Woods will again take part in Blue Star Museums, a collaboration among the National Endowment for the Arts, Blue Star Families, the Department of Defense, and more than 2,000 museums across America to offer free admission to the nation’s active duty military personnel and their families from Memorial Day through Labor Day. 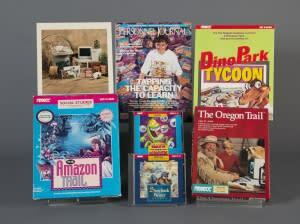 Rochester, N.Y. — Explore the history of educational software at The Oregon Trail, MECC, and the Rise of Computer Learning display opening June 17 at The Strong Museum. Learn about the pioneering Minnesota Educational Computing Corporation (MECC), which played a prominent role in helping schools to integrate computers into classroom learning, and view dozens of artifacts donated by the founders of MECC. 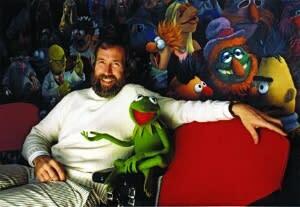 Astoria, New York, May 24, 2017—Museum of the Moving Image will open The Jim Henson Exhibition, a permanent exhibition devoted to Jim Henson, on Saturday, July 22, 2017. This dynamic visitor experience—housed in a new gallery space funded by the City of New York—explores Henson’s groundbreaking work for film and television and his transformative impact on popular culture. Governor Andrew M. Cuomo today announced the beginning of swim season in New York this Memorial Day Weekend. The Governor encouraged New Yorkers and visitors alike to take advantage of a host of opportunities available at beaches and lakes across the state. From boating and canoeing to fishing and kayaking, the state is kicking off the summer swim season early at select locations throughout Memorial Day Weekend. During Summer of ‘17, New York offers opportunities for everyone at more than 120 locations to experience the state’s celebrated seasides at ocean and lakefront developed beaches, pools and spraygrounds. 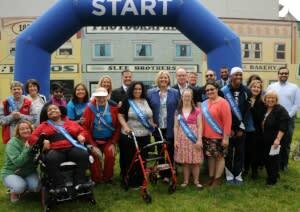 Poughkeepsie, N.Y.—This year’s Walkway Marathon Race Series will again feature the ThinkDIFFERENTLY Dash on Saturday, June 10, which celebrates individuals in our community with special needs. The one-mile fun run/walk is open to everyone and takes place in downtown Poughkeepsie, organizers announced at a press conference this week. Walkway Marathon Race Series partners, Walkway Over the Hudson and Dutchess County Government, were joined by representatives from several participating organizations in presenting information concerning the ThinkDIFFERENTLY Dash, a popular element of the Walkway Marathon Race Series. Additional Walkway Marathon events include 5K, Half-Marathon and Full-Marathon races the following day on Sunday, June 11. Stay in town when the tents come down! 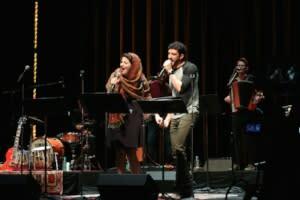 Saratoga Springs, N.Y. – The Orchard Project is proud to announce its first ever BUSK!, a free public event to kick off a Saratoga Springs summer, featuring artists from its famed residencies and beloved local acts. 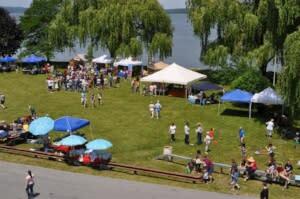 Taking place on Sunday June 4th, 2017 from Noon-6:00pm in and around the Saratoga Springs Heritage Area Visitor Center, BUSK! is a spontaneous, outrageous, family-friendly event that aims to offer something to everyone — from local bands and magicians to spectacular circus artists and stunt performers.